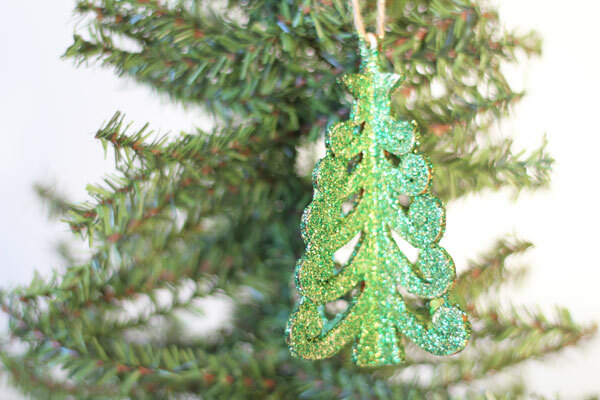 I don’t do a lot of crafting with glitter during the rest of the year. But during the Holidays, I like to add some sparkle. But I don’t want that sparkle to hang around year-long. So I’ve a method for working with glitter that will keep the glitter from getting on every surface of my home from now until forever. 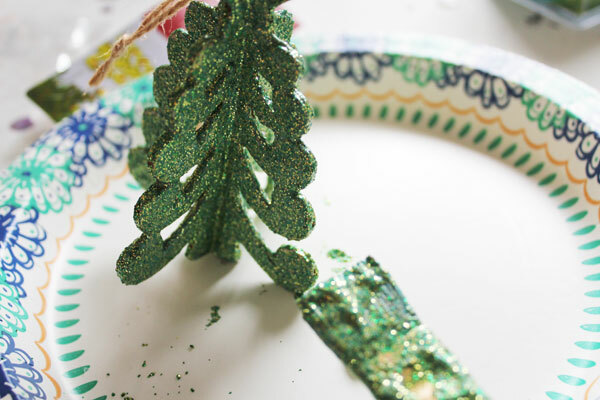 You’ll love this No Mess Glitter Ornament technique! 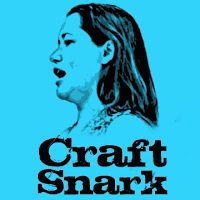 This craft is the last of Craft Lightning Week. 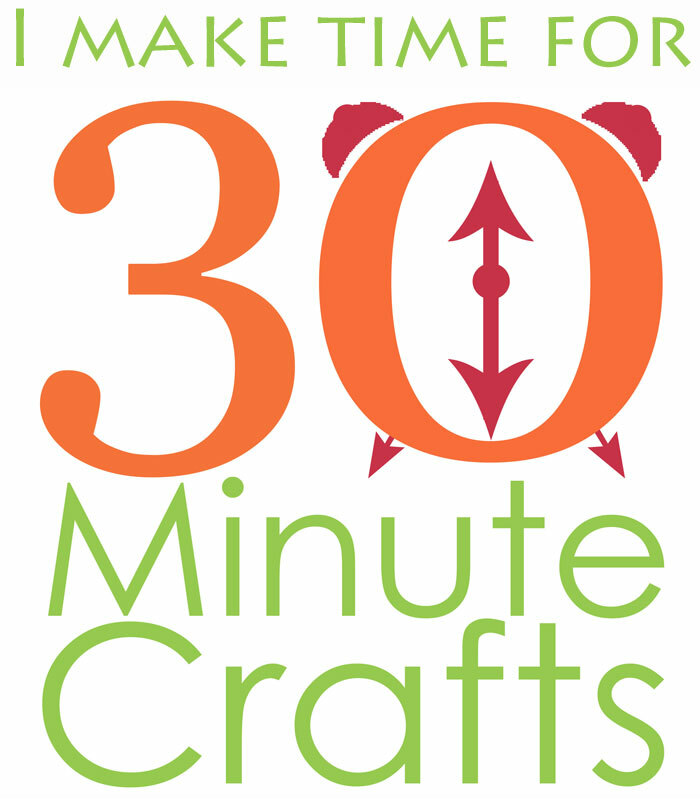 All week long I’ve been sharing fast, 15 minute Holiday crafts along with my co-hosts Jessica from Mad in Crafts and Angie from The Country Chic Cottage. 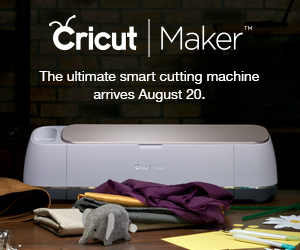 And we’ve invited our crafty friends to join in! 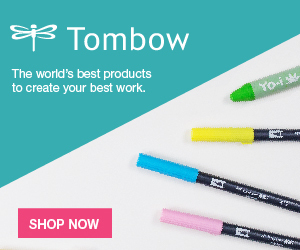 Check out all their great projects at the bottom of the page. I picked an ornament that had two parts, so I started by putting it together. 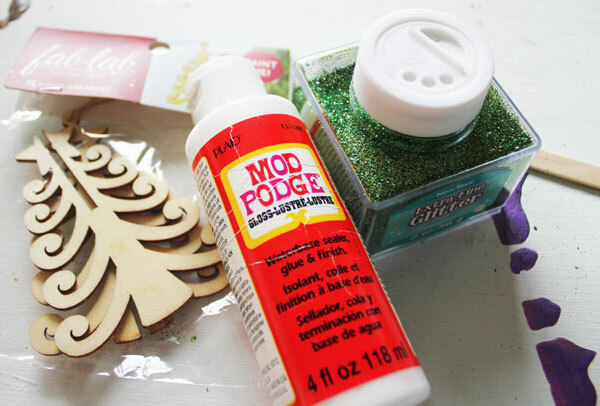 Mix the glitter and Mod Podge together in the cup. 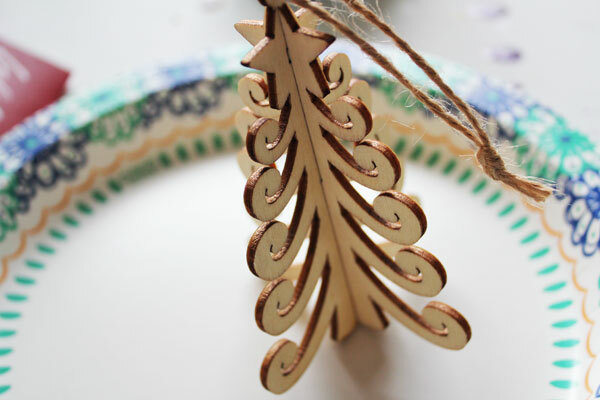 Paint the mixture onto the ornament. Make sure to add a nice coat that gets full coverage. 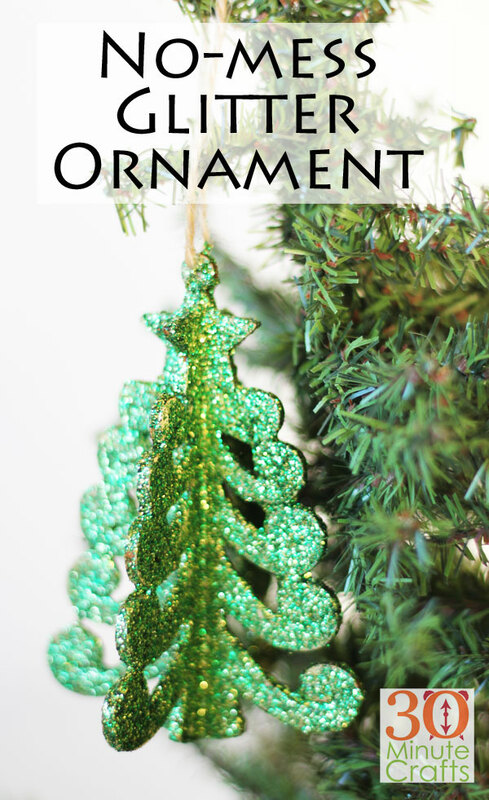 Allow the ornament to dry overnight before you hang it on the tree. 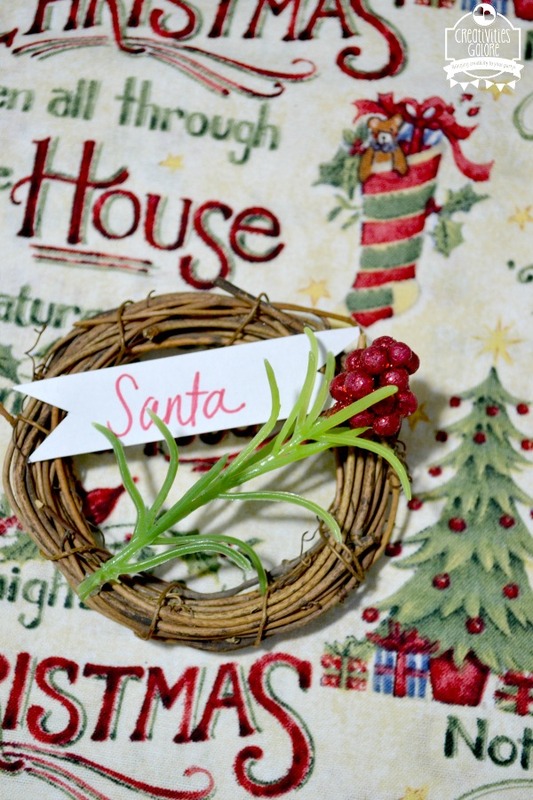 Now check out these great Holiday craft ideas! 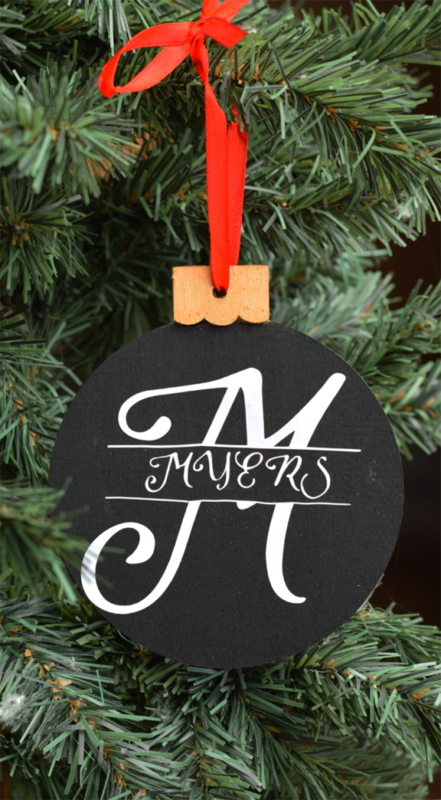 Learn how to make these monogrammed Christmas ornaments over at It Happens in a Blink. 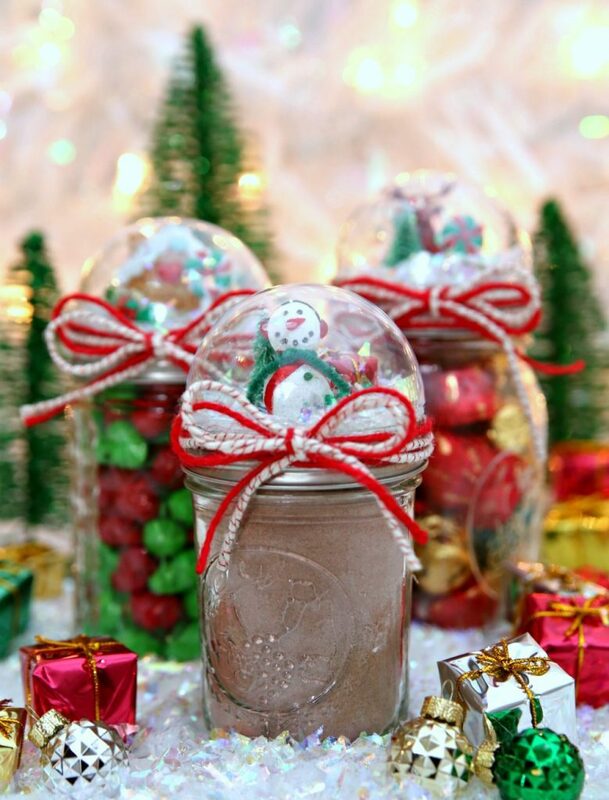 Happy Go Lucky made these great Snow Globe Mason Jars. 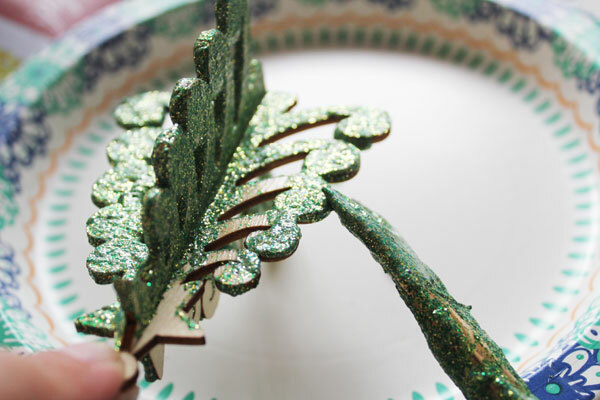 Frog Prince Paperie has a printable to make this cute sparkly light bulb garland. 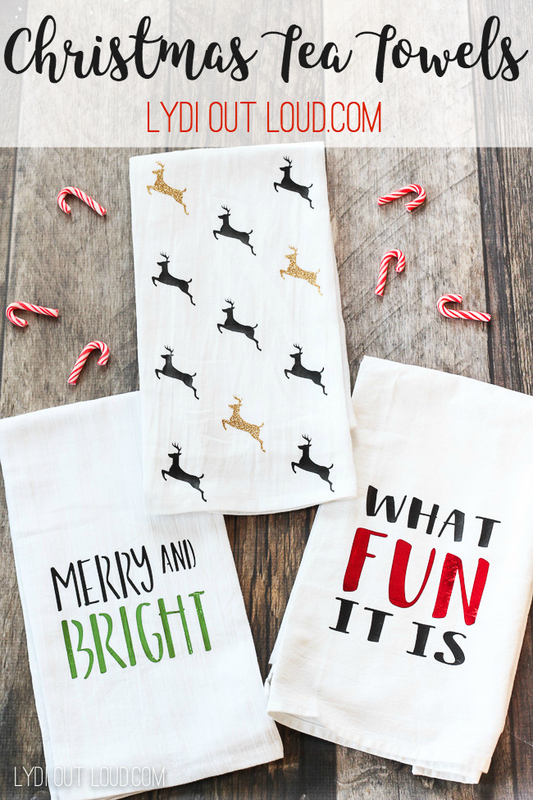 You’ll learn how to make these cute holiday tea towels over on Lydi Out Loud. Make Life Lovely whipped up this fun custom Christmas Sack. 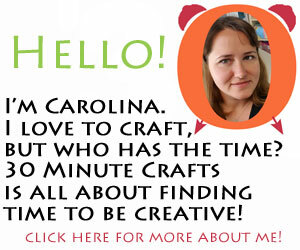 How fun are these wreath pacecards from Creativities Galore? 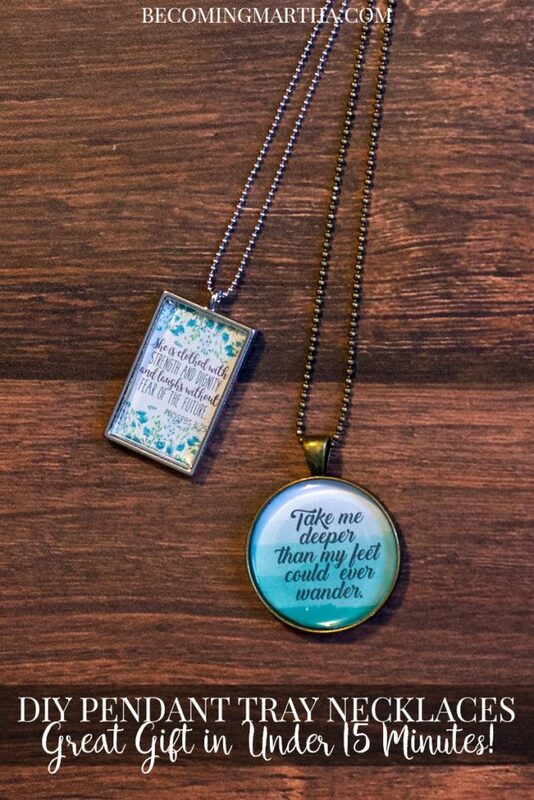 Over at Becoming Martha, you can learn how to make these necklaces – such a great gift idea! 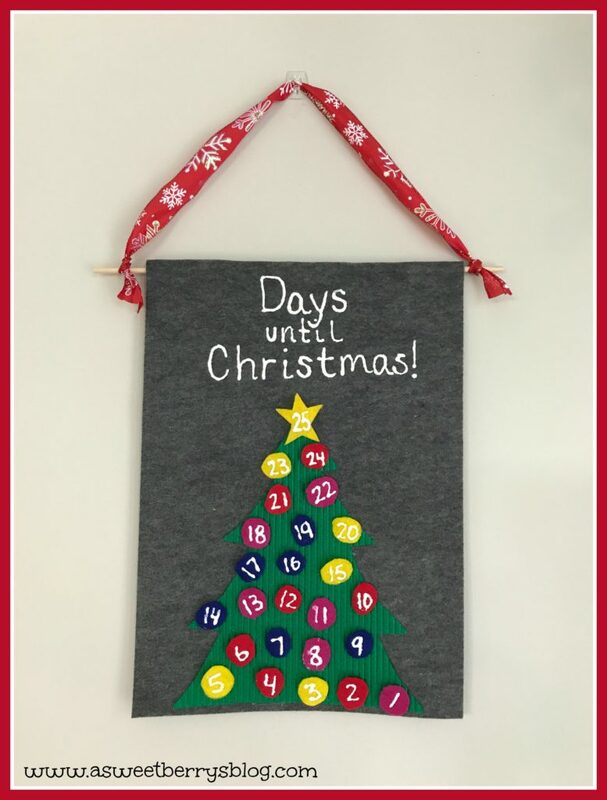 Katie shows you how easy it is to make your own Christmas Countdown Calendar. 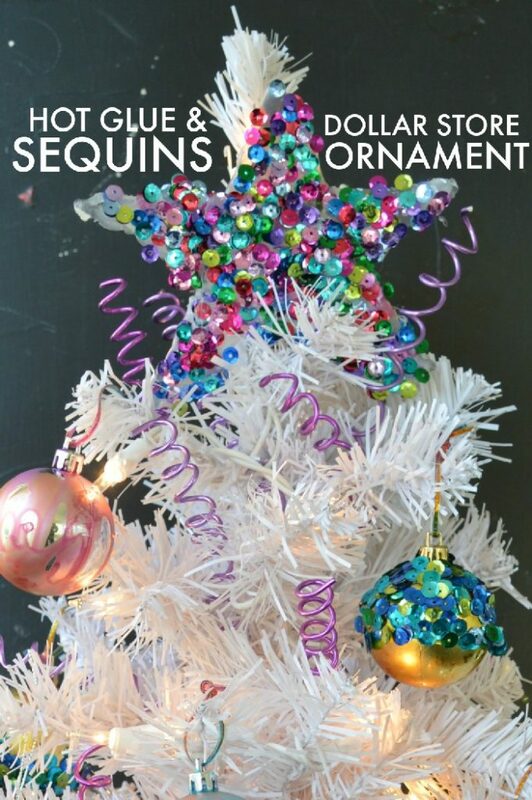 My Co host Jessica made these great hot-glue-and-sequin ornaments. 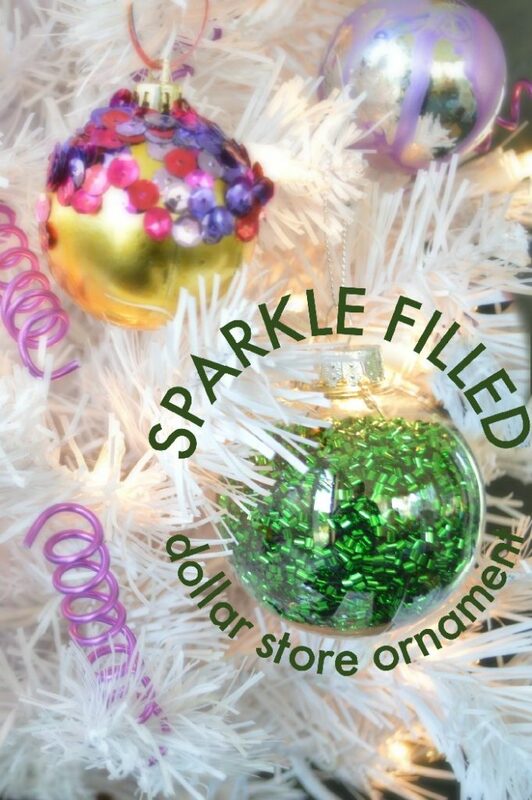 She also made these sparkle-filled ornaments. 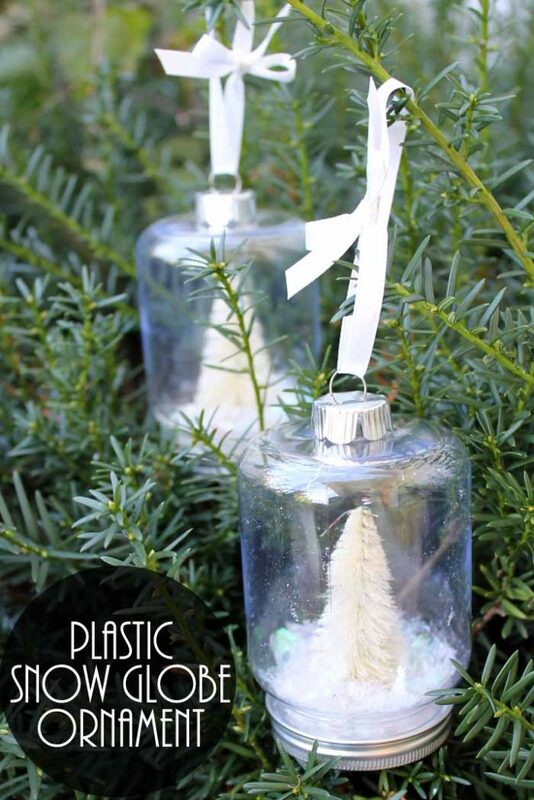 Angie from the Country Chic Cottage, my Long-time co-host whipped up these plastic snow globe ornaments. 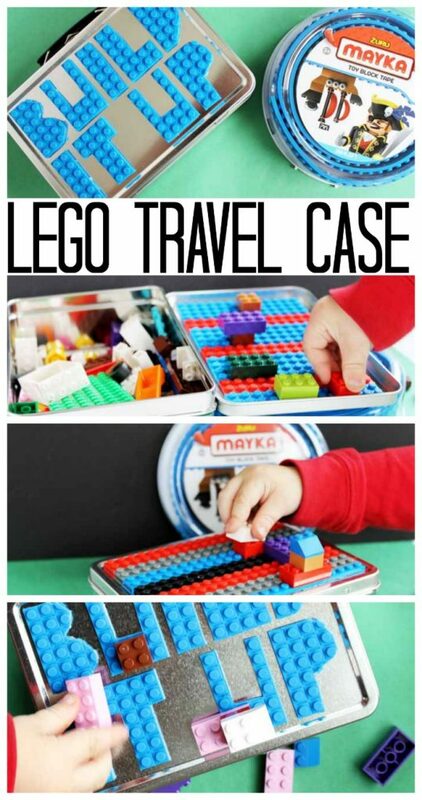 and this great gift idea – a Lego travel case!